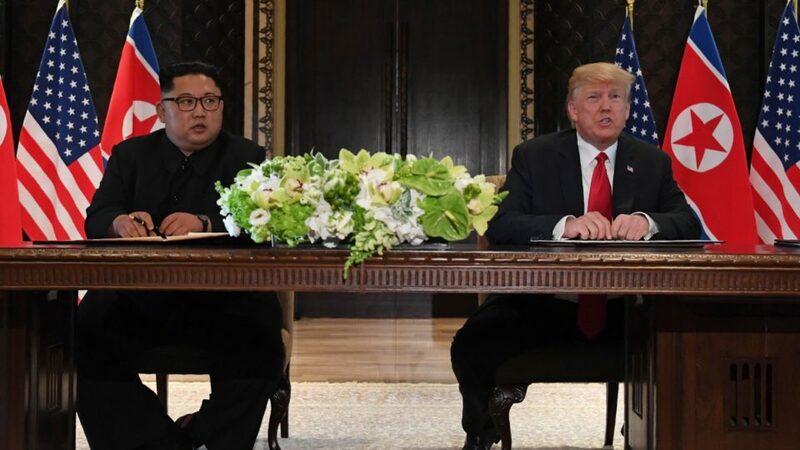 US President Donald Trump and North Korean leader Kim Jong-un have signed what they both characterised as a historic deal following the first-ever meeting between the two leaders, held in Singapore. Trump told the expectant media the pair had a “great relationship” and a “great time” together, without giving away any detail on their agreement. The document was signed at Singapore’s Capella hotel after a working lunch aimed at discussing ways to end the nuclear standoff on the Korean peninsula. Hail Great Presidents Trump and Kim who act on decisions to impact world, bring peace to nations not their own, way beyond SB nationalism, petty party politics and power insanity without justice and government.